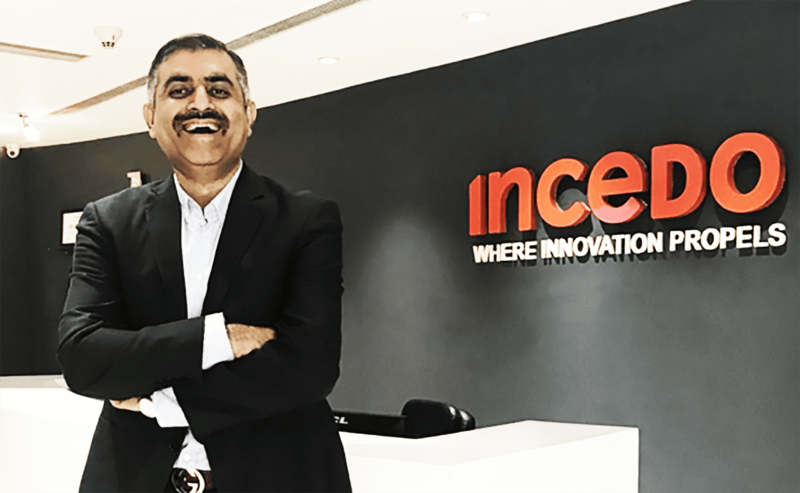 In October 2017, Nitin Seth was appointed the CEO of Bay Area-headquartered consulting, analytics and technology services firm, Incedo. The company serves industries across pharmaceutical, life sciences, financial services and communication engineering, with a focus on data, cloud and intelligent automation. A noted industry expert, with an experience with companies such as McKinsey and Fidelity, among others, Seth was brought in with an aim of building a strong list of clients and drive innovation in emerging technologies to lead Incedo to the next phase of growth. As the CEO, Seth is responsible for creating Incedo’s long-term strategy and driving its execution. He brings a unique combination of experiences as an entrepreneur, management consultant and an industry leader. He has an outstanding track record of transformational impact across situations — dramatically raising the trajectory of businesses, driving from strategy to execution, championing innovation, building high-performance teams, coaching and inspiring leaders, and leading with passion and integrity. In his previous role, Seth was the COO at Flipkart, where he was responsible for customer and supply chain operations, strategy to execution capabilities and corporate functions for the company. He has also headed Fidelity International as the MD and Country Head for India. Before Fidelity, Seth was the director of McKinsey’s Global Knowledge Centre in India (McKC). Post his tenure with McKinsey, Seth set up ActiveKarma Ventures, an Internet company. Its mission was to help Indians lead a more active and healthy life by leveraging both online and offline channels. He holds an MBA (Finance and Operations) from the Indian Institute of Management, Lucknow and a degree in engineering (BTech) from the Indian Institute of Technology, Delhi. 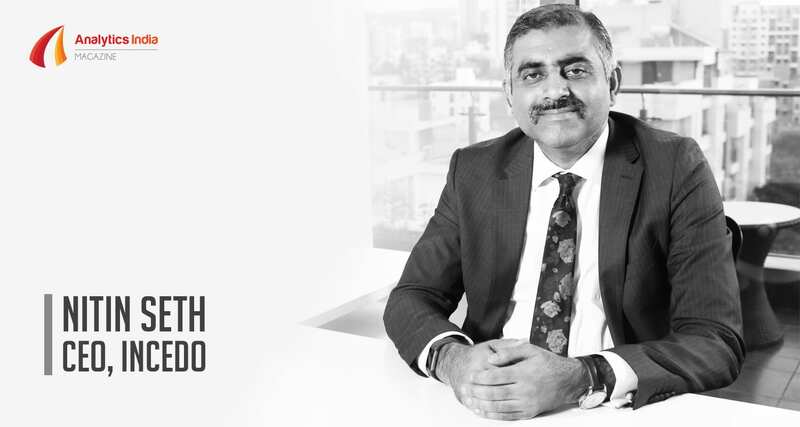 Analytics India Magazine interacted with Nitin Seth, where he shared his insights on Incedo’s growth plan, his focus on improving analytics capabilities at the company, challenges that he has to overcome and much more. AIM: Incedo has been into New Tech — IoT, life sciences — and analytics is one of them. Where do you see analytics and data science playing a role in this whole spectrum of things that Incedo is doing? Nitin Seth: The first phase of Incedo was very entrepreneurial and as a start-up it was very ambitious to grow rapidly into various domains. But now we have gone through a major restructuring and data sciences and artificial intelligence are a major part of it. We think of Incedo at three different levels — one is the vertical that we have treaded into, which includes three areas — capital markets, life sciences and telecom, the second and the biggest domain is around data, which is around 60 percent of the company and includes analytics, AI, BI, data operations, data engineering and others. The third area is cloud, where there is an intersection of data analytics and cloud. Out of these areas we are looking forward to make data and analytics world class and a lot of investment is going on in this space. We are also doing a fair amount of work in automation. AIM: We have been looking at data analytics for quite some time now. After 5-6 years of its journey, where do you think is the demand for analytics right now and what is the kind of demands that you are seeing? NS: I have been in this domain for over 15 years and have set up analytics in companies like McKinsey, Fidelity, Flipkart and others. My view is that analytics is still in early stages and the whole industry is at 5-10 percent of its maturity. Analytics is about making decisions and then executing them. There are four different layers in analytics. First is strategy layer, which is about finding business and the core problems, second is the conventional layer, which has been adopted by a lot of analytics providers to choose the right kind of modelling, third layer is data and the fourth is intelligent applications. Different players in analytics operate at different layers. For instance, consulting firms operate more at second and third stages, IT services firm operate at third and fourth. But the real value is delivered if you are able to use all these four layers together. During my experience at both Fidelity and Flipkart, where I was the head of strategy, I realised that strategy ends up being a consumer of analytics. So, at least from my perspective people in the best of companies are still using analytics for decision making in a very limited way. It could be attributed to the fact that there are not enough players who could connect to all these four layers. I don’t think there is any limitation to analytics per se, but if you think of it as a function of what you can really provide and generate something truly value added, I think there is a long way to go. AIM: What is the kind of value that Incedo is providing in the analytics industry? Amidst the 600+ boutique analytics firms in India, what is the unique proposition by Incedo in analytics? NS: As I said earlier, it is the ability to connect business, data modelling and technology that defines analytics company, and it is easier said than done. I see very few companies doing it. McKinsey, Fidelity and Flipkart have been a large consumer of analytics and I don’t think we are the only people who are doing that. I wouldn’t say that Incedo is there yet but we have that clarity that all four layers need to be connected to deliver value. Most boutique analytics firms operate at the second layer and you have to connect data and technology layer to get that scale. Boutique firms that operate at level two, I think will find it tough to scale and with the advent of cloud, they will either die or will find it difficult to sustain. Only the firms that have been able to connect these four layers would be grounded very strongly in data technology. Our core belief and the way we approach it at Incedo is that we are very domain specific. So if you want to really drive business decisions then the clarity of domain that you believe in is important. The way we are building analytics for each of th three verticals is not pure horizontal but we are connecting it with each other. We have to build separately for backing capital markets, telecoms and life sciences and there are some common fields which you can connect across all three, but it has to fundamentally solve the problems, which is very important from our perspective. Another aspect that we are looking at is that the world of analytics is changing rapidly because of advent of platforms, cloud and artificial intelligence. These are changing the game. What we used to do in analytics a couple of years back was very modelling intensive. With the platforms evolving, you really have to provide the value insights which I believe comes from domain typicality. With cloud, AWS SageMaker, Google TensorFlow, Azure and others, the way analytical applications are built is getting changed very quickly. Also, with machine learning, the promise of analytics which was to try real time actions are becoming real and that analytics is moving from an asynchronous to a synchronous mode now. It will require strong technology integration and that’s what we feel our strength is. With very strong data and technology heritage we are looking to ride into cloud to lead forward. AIM: There are opinions that artificial intelligence and machine learning growth is very product based and there is no service around it. They also say these are buzz words and there is nothing concrete coming out of it. What are your thought? NS: I think there is a partial truth in it. Most enterprises, even some of our large clients such as the Fortune 100 companies in the US and India are in a discovery mode with artificial intelligence and machine learning, so these concepts definitely exist. I don’t know if we should call it a buzz but I think it is more about figuring out where it can be applied and where it can reach in terms of concept. There are areas where these technologies have been well established such as in terms of driving customer experience, where machine learning is very well used. Then, in the area of process automation also ML is quite well established. A lot of RPA work that is happening has cognitive aspect to it. I would say broadly that AI and ML enterprises are trying to figure out how to use it, and these are not just buzzwords. It is an area that we as a company are also engaged in and for the entire customer experience; these technologies are an important part of the proposition. Many sophisticated enterprises cannot run without that. AIM: What are some of the challenges that Incedo as a company is facing? Would you like to highlight the kind of treat that analytics industry is facing right now? NS: Talking about analytics industry, the biggest challenge I think is talent. To really drive value, you need to have capabilities in those four layers and connect them well. 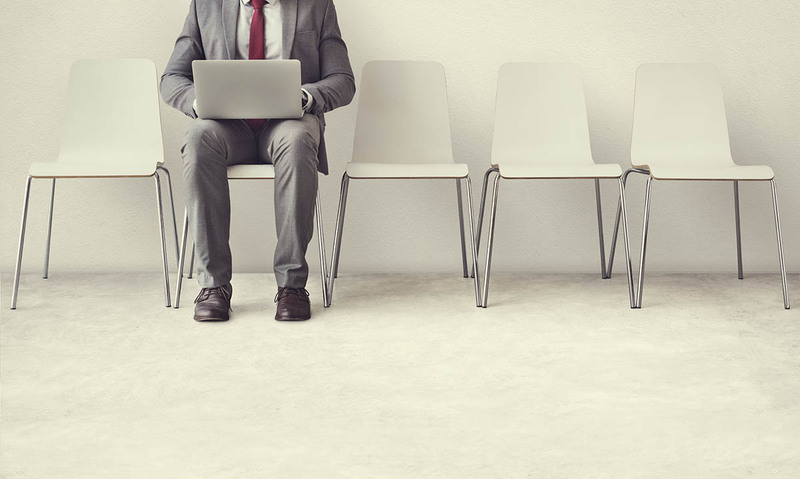 Doing that requires highly qualified talent—and it’s not just one kind of talent but to drive capabilities in these four layers, you need to have may be four, five or six different types of talent. You need to have people with a background in consulting, statistical modelling, data background, technology background and most importantly, problem solving skills. Analytics is fundamentally about problem solving and this is where quality is lot more important that quantity. Ours is an industry which is currently driven by skills in terms of quantity and there are a lot of candidates at entry level. I believe that quality analytics professionals who have strong problem solving capability, is still limited. So, for next level roles, many a times I end up doing the screening myself because there is a gap and lack of seasoned professionals. Talent I think continues to be the key challenge and how you develop that talent is the key model. I believe that we can build the apprenticeship model, which can be done through role modelling, where people who actually know the processes are doing it and others can observe and embrace those learnings. Technology industry or the BPO industry have been using factory model and unfortunately a lot of that factory model principles end up being applied to the analytics industry as well. This is where I believe that apprenticeship model might work. Overall I would say, analytics is driven by talent and getting it right remains the biggest challenge. AIM: What is the roadmap for analytics at Incedo? NS: I think analytics has to really grow from that second layer to encompassing all the four layers that I mentioned. Companies that continue to define themselves as boutiques focus largely around modelling and doing some niche modelling work will make them difficult to sustain. The value will get delivered only when you connect all the four layers, which is the most fundamental thing. I see a lot of companies being cognizant of that, and we are also working towards that. The other thing is to figure out how cloud, AI and ML are going to change the game. This is something that we are certainly focused on. What we did a couple of years back, is not something we do today, and it’s absolutely not what we are going to do in the future. Understanding that is the most important thing. Next is talent. We are bringing world class talent, people who are data architects, cloud architects, analytics specialists, to deliver better value in analytics. I think these are the three things that we are currently focused on. I feel bullish about the growth and roadmap ahead; however, I feel that we are not even 10% there in terms of what analytics can be. We aim to be a world class technology analytics services firm and for being that, depth is required and we are focusing on how we get there.